Held: Increases the power of the holder's Ghost moves by 20%. Held by a Multitype PokÃ©mon: Holder's type becomes Ghost. Swords Dance Boosts it's already good attack to nice levels. 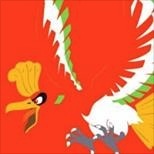 Brick Break hits Steel-, Dark- and Normal-types super effectively all whom resist Shadow Force. Does give perfect coverage along with Shadow Force. Shadow Claw was the only option I could select here but Shadow Force is an awesome Ghost type move that only Arceus (by event) and Giratina can learn it so it's pretty awesome, STAB. ExtremeSpeed allows Arceus to hit faster revengekillers, Recover lets Arceus get up more Swords Dances and is good for staying healthy overall. This is a good moveset for arceus (Pokemon #493) with the multitype ability/trait, a Adamant nature, and equipped with Spooky Plate submitted by PsychoHail. For use in competitive Pokemon battles featuring an Export option and breeding guide.